WoW: Champion by Marie Lu ~ Love.Life.Read. I was extremely blessed to be able to attend ALA this past weekend. While there I got to meet the wonderful Marie Lu. I am so excited about the third book in her trilogy, I just had to highlight it today. Divergent is one of my favorites. :) I need to re-read Hunger Games since I have a lock-in to plan for it. Thanks for stopping by and Happy Reading! 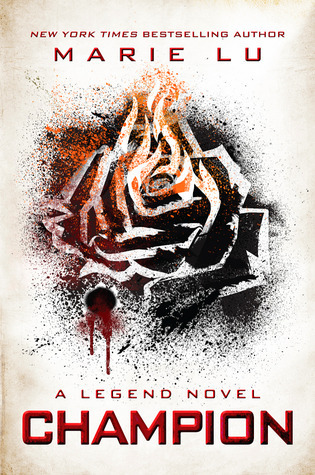 I literally just got Legend in my TBR pile. And now I'm like 10x for excited to find out this is series is actually a trilogy! Yay! Even though it's still not exactly clear for me, Champion does sound like a really great read!